There are very few hotels where you can watch icebergs float past the windows, or see a crystal blue glacier from your room. 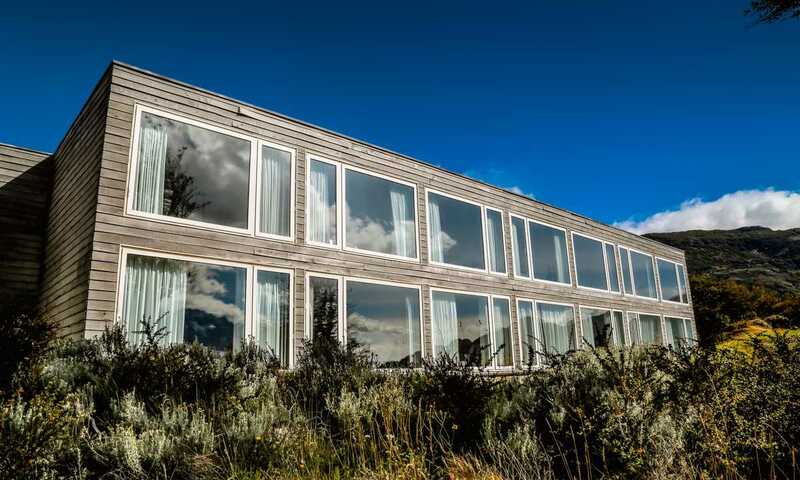 Hotel Lago Grey's location is simply stunning, and the floor to ceiling windows mean you can really drink in the scenery, wherever you are. Perched on the south shore of Lago Grey facing up towards the glacier, the views are arguably some of the best of any hotel in the park. The hotel's location makes it well places to explore some of the more off-the-beaten-track hikes available in the national park, especially the rivers, waterfalls and lookout points around the Pingo Valley. The park's most famous highlights are still on offer, with full-day excursions available every other day to the Base of the Towers, the French Valley and the Los Cuernos lookout. You can also take a trip to a condor lookout point. Pick and choose your excursions on arrival, or take advantage of the all-inclusive program where meals are also included. A short walk from the hotel is the dock for the Grey III, a boat which takes passengers right up to the face of Glacier Grey. 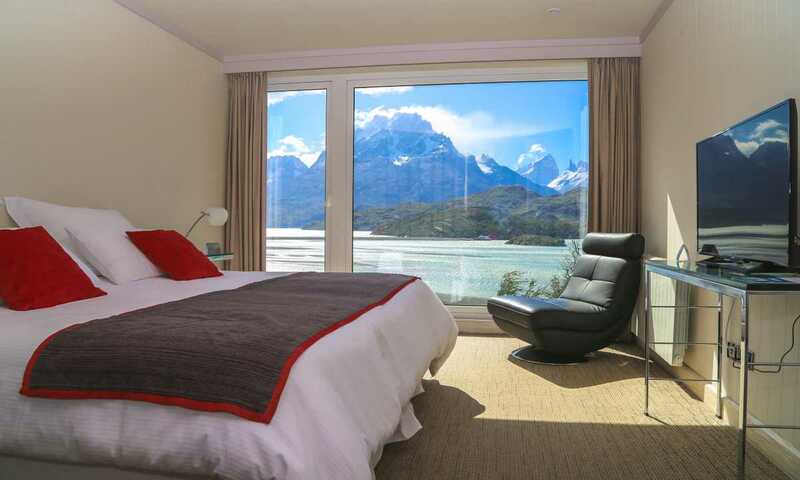 Sailing alongside the wall of ice, with a chill in the air and the glacier creaking around you, is one of the most famous experiences of Torres del Paine. To get even closer to the ice, don your crampons and ice hike across the top of the glacier, available as part of the all-inclusive programme. Alternatively, step off the Grey III at the north side of the lake where you can hire a kayak to paddle amongst the icebergs. Superior: Floor the ceiling windows give these rooms the edge, creating a bright, spacious feel that continues in the large bathrooms. All rooms have heating and Wi-Fi, and the glass and wood partition to the bathroom allows you to continue watching the views while you shower. Standard: All the standard rooms have recently been upgraded, and are clean and modern. They look out onto beautiful garden scenery, but lack the lake views available in Superior rooms. Triple rooms are also available. Hotel Lago Grey is open from all year, with prices starting from $274 for a Single Standard room in the high season. The price includes a buffet breakfast, but does not include VAT.